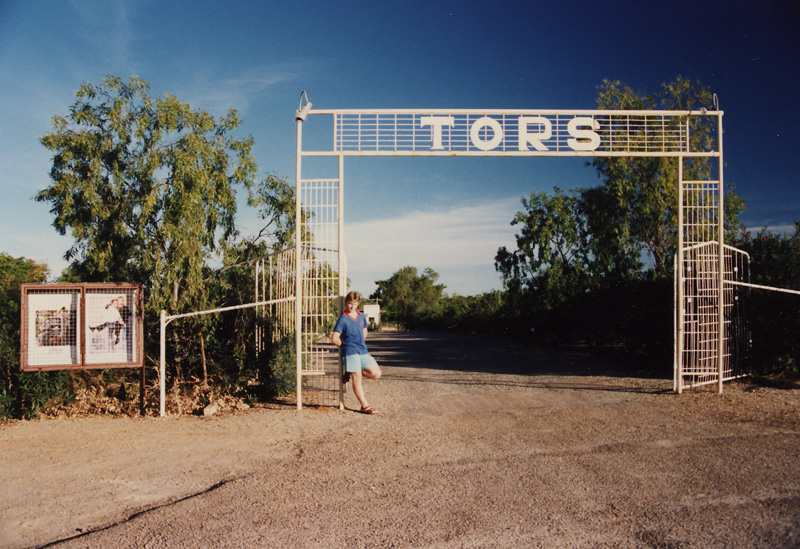 From my 35mm petition through the making of Out of Print, I have had nothing but amazing support from Deb & Steve Snell who run Tor’s Drive-In in Australia. (Which has been running continuously since 1966!) A couple who love cinema from the bottom of their hearts, Steve and Deb have been fighting for their dream drive in for years. This is the kind of passion & persistence that theater owners all over the world are demonstrating – to the deaf ears of the studios. I have been receiving so many incredible personal stories of movie theaters all over the world since the inception of the petition, and every one inspires me and breaks my heart at the same time. 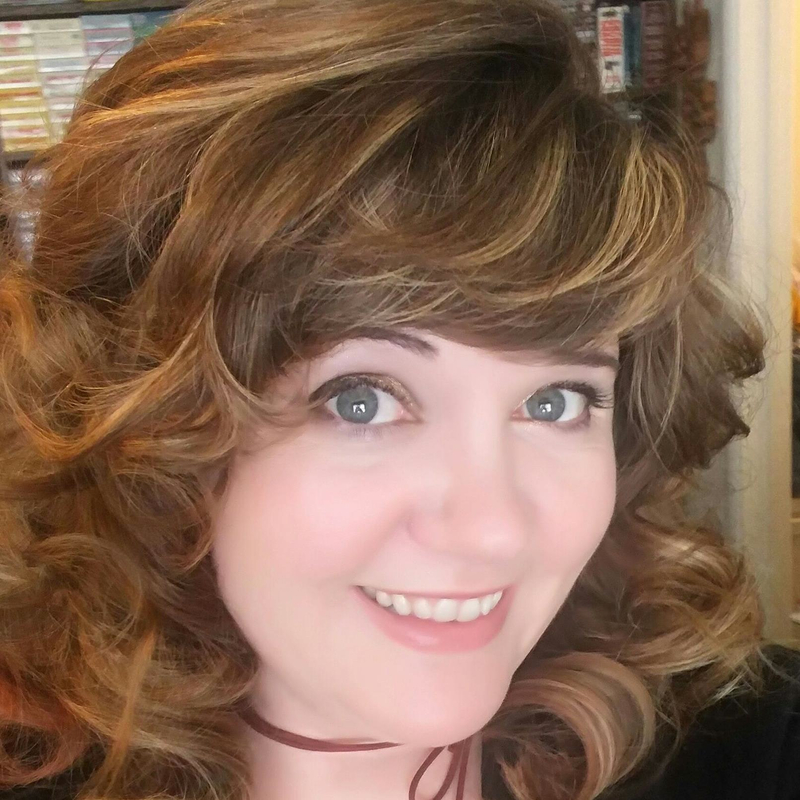 I want, more than anything, for movie lovers & film distributors to read these personal accounts (like this, and those in my previous posts) and understand that movies mean more to people that just entertainment – they can be their entire livelihood. Please help me get their story told. We need to all fight together to keep these precious independent theaters alive and thriving. 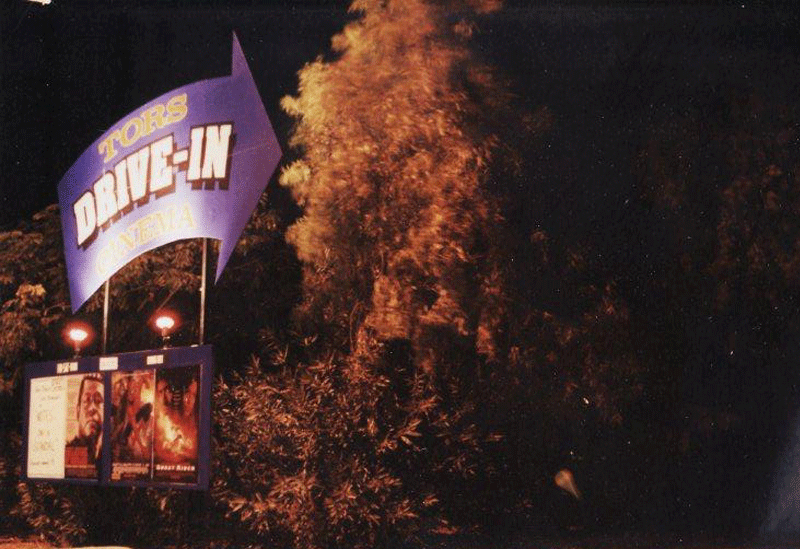 “Steve & I bought the drive-in over 20 years ago – he was 19, and I was 18. Prior to this we both worked for Ben & Phyl DeLuca who own the Summergarden Theatre in Queens Beach – just an hour or so east as the crow flies, but 3 hours by road. They have owned that theatre for over 50 years now! Anyway, that’s where we met but we made the move west to run a drive-in. We both had to work other jobs to keep the place (still do), but within a year or so we built another small drive-in so that we could run alternative product, for what is an extremely small market in Charters Towers (pop approx 8,000 – but this has fluctuated over the years – there seems to have been small, but steady growth over the past few years however). We had also dreamed of building a cinema on the same property. In the meantime the council here were talking about building their own complex – auditorium for performing arts etc and a cinema complex. We tried to get involved and co-operate, but the then council didn’t want to deal with “those kids” and there were all sorts of unpleasant rumours circulating. The film distributors and industry colleagues told us that we should build our own cinema anyway as at least we would retain some of the day market that we hadn’t been able to access with the drive-in. At around the same time, the cinema complexes expanded rapidly in Townsville – our nearest city approx an hour away, more free to air TV channels, pay TV, and the dreaded internet downloading of movies – mostly illegal. Our son has teachers who quite proudly talk about downloading movies illegally – so we can’t overstate how massive a problem this is in the industry. So the cinema trade was fairly ordinary, then when the council venue opened, we only operated for a few years or so before we had to close it and get more work outside of the cinema operations we have here. Any ideas we had (example, morning tea movies – a movie and free morning tea for $5), the opposition would copy and undercut us (they did it for $4 until we closed our cinema – there haven’t been morning tea movies in this town for over a decade now). We later learned that the Council was paying our opposition management a substantial management fee, plus he was getting the venue virtually rent free, plus all the perks of being a council venue and enjoying free publicity and a high profile. This was an election issue last year and continues to be rather contentious amongst the locals. Anyway, we kept the drive-in going as it had a bigger market than the cinema at our location – tough as we had inclement weather and we are a second run venue in a small town. But it is a passion of ours and through other income we converted the cinema into a 2 story house and re-opened the second drive-in field we had going some 20 years ago. So the twin drive-in has been going for just over a year, and it has been a very quiet year. But we keep looking forward and now we are getting families and folks from Townsville making the trip for the “drive-in experience”. Last year, after much negotiating, we brought up the Sydney Traveling Film Festival for the first time in Charters Towers and it came again this year. It presented an opportunity for locals to see foreign and indy films theatrically – so many patrons had never seen a foreign film before in their lives. Several years ago we also had the opportunity to purchase what was then “16mm Australia” which was a distributor for non-theatrical (schools, clubs, film societies etc.) and was running out of Sydney. We managed to build that up as Amalgamated Movies and are the non-theatrical distributors for Sony Pictures Releasing and Madman Entertainment, Australia wide. We store what is available from their 16mm catalogue and some 35mm prints. Roadshow manage the rest of the non-theatrical market in Australia and several years ago dumped all of their 16mm prints – a few went to the archive, but a very few. Compared to 35mm, 16mm can be rather substandard, but some of our prints are in very good condition and the latest of the catalogue comes up as well as 35mm on our smaller drive-in screen. It all amounts to the film stock. Never has the quality of film been so brilliant and durable, and they want to get rid of it. We don’t understand why it can’t co-exist with new digital technology. At the moment, there is widespread panic regarding the death of 35mm. We have been told by most of the distributors, that they intend printing film for at least another 2 or so years, some are saying much more. They get the prints struck in Malaysia now, so they don’t even cost half of the $1500 which is the cost being quoted regularly in the news and periodicals at the moment. Where we stand is that when film stops, the drive-in will be forced to be repertory (which is an incredibly small market in Charters Towers) and that will be restricted as most of the distributors are culling their 35mm stock at an alarming rate. We couldn’t even access a print of Chinatown last year – this is insane. If we were to get pennies from heaven and finance the digital conversion, we know that the equipments life would be very short – laser is around the corner and the technology keeps outdating itself. Hundreds of thousands of dollars down the toilet! So we want to stay open, but we just have to see what happens. We recently had a Halloween night for the kids which was popular – they all got in for $5 and received a gift bag if they dressed up, and a couple of weeks ago a Christmas themed night which again was only $5 all ages. We don’t really make any money out of these nights, but it’s not really what we’re about and it gets traffic through the place at least. It makes for a great night out for families as well, which is important for a community. So we’re always trying new things, but our future is really in the hands of the studios at this point. I’ve been trying for hours to think of something to blog about passion and creativity. Then I opened my inbox and read the latest post from Julia. I know Julia through twitter and a mutual friend. I admire her passion for film. Actually let me rephrase, I admire her. She is doing what she loves and is bringing awareness to others following their passions. I may not be able to contribute financially the way I’d love to, but I can at least help spread the word. Take a moment to read this and pass it along. I know many of my followers are artists and filmmakers, please help us keep independent theater and film alive in this world.